The brand si.li. is formed by two ceramists/ designers Simona Janišová and Linda Viková. Both collaborations and their individual creations bearing the brand si.li. come into existence in their shared studio in Bratislava . 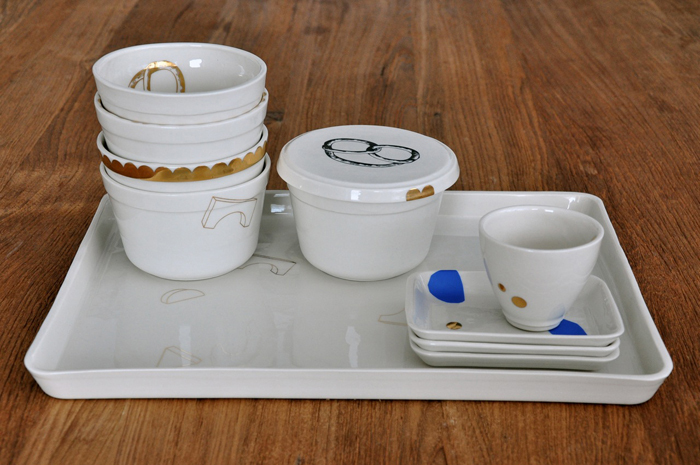 The Basics is their new collection of porcelain dishes designed for everyday use. Bowls, saucers, cups and glasses can be used not only as breakfast dishes, but through the whole day. The Basics is about fantasy – it is up to you, which components you choose and how you use them. Each set is handmade poured porcelain and each piece is decorated in a specific way.